Save on Chrysanthemums at Love for Salad. Top brands include GlobalRose, & eFlowy. Hurry! Limited time offers. Offers valid only while supplies last. 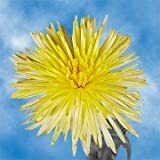 GlobalRose 50 Fresh Cut Yellow Fuji Spider Mums - Fresh Flowers For Birthdays, Weddings or Anniversary. GlobalRose 100 Fresh Cut Yellow Fuji Spider Mums - Fresh Flowers For Birthdays, Weddings or Anniversary. GlobalRose 200 Fresh Cut Yellow Fuji Spider Mums - Fresh Flowers For Birthdays, Weddings or Anniversary. 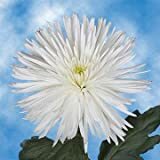 GlobalRose 50 Fresh Cut White Chrysanthemum Disbud Flowers - Fresh Flowers For Birthdays, Weddings or Anniversary. 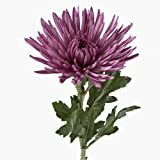 GlobalRose 100 Fresh Cut White Chrysanthemum Disbud Flowers - Fresh Flowers For Birthdays, Weddings or Anniversary. 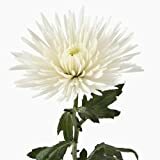 GlobalRose 200 Fresh Cut White Chrysanthemum Disbud Flowers - Fresh Flowers For Birthdays, Weddings or Anniversary. 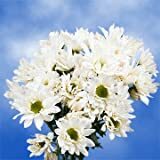 GlobalRose 36 Fresh Cut White Chrysanthemum Daisy Flowers - Fresh Flowers For Birthdays, Weddings or Anniversary. GlobalRose 72 Fresh Cut White Chrysanthemum Daisy Flowers - Fresh Flowers For Birthdays, Weddings or Anniversary. GlobalRose 144 Fresh Cut White Chrysanthemum Daisy Flowers - Fresh Flowers For Birthdays, Weddings or Anniversary. 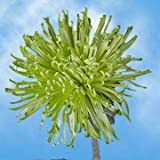 GlobalRose 50 Fresh Cut Green Fuji Spider Mums - Fresh Flowers For Birthdays, Weddings or Anniversary. GlobalRose 100 Fresh Cut Green Fuji Spider Mums - Fresh Flowers For Birthdays, Weddings or Anniversary. GlobalRose 200 Fresh Cut Green Fuji Spider Mums - Fresh Flowers For Birthdays, Weddings or Anniversary. 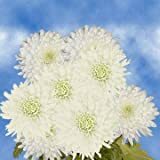 GlobalRose 50 Fresh Cut White Fuji Spider Mums - Fresh Flowers For Birthdays, Weddings or Anniversary. GlobalRose 100 Fresh Cut White Fuji Spider Mums - Fresh Flowers For Birthdays, Weddings or Anniversary. GlobalRose 200 Fresh Cut White Fuji Spider Mums - Fresh Flowers For Birthdays, Weddings or Anniversary. 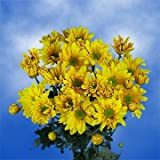 GlobalRose 36 Fresh Cut Yellow Chrysanthemum Daisy Flowers - Fresh Flowers For Birthdays, Weddings or Anniversary. GlobalRose 72 Fresh Cut Yellow Chrysanthemum Daisy Flowers - Fresh Flowers For Birthdays, Weddings or Anniversary. GlobalRose 144 Fresh Cut Yellow Chrysanthemum Daisy Flowers - Fresh Flowers For Birthdays, Weddings or Anniversary.